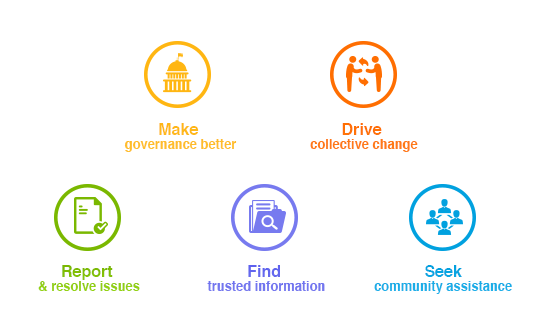 New Delhi, India, February 2, 2016 – LocalCircles (www.localcircles.com), India’s leading citizen engagement platform today announced the availability of an AYUSH online community with 10,000 AYUSH practitioners and experts thereby enabling citizens to easily find AYUSH cures and remedies on fingertips. 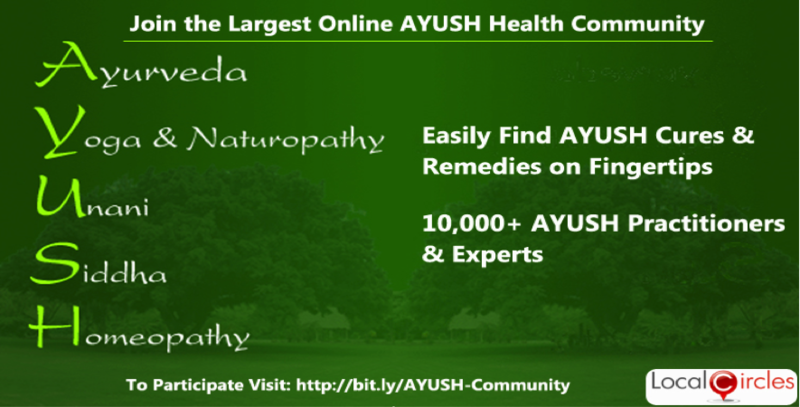 The community, first of its kind in the world is the largest online ecosystem for AYUSH (Ayurveda, Yoga & Naturopathy, Unani, Siddha, Homeopathy, and other alternative therapies) and enables the common citizen of India to easily find trusted AYUSH information from other AYUSH practitioners and experts. Over 5,000+ discussions on various subjects have taken place so far and over 30,000 comments and inputs have been received in the community making it a strong repository of AYUSH information and experiences. “By enabling fast information exchange on smartphones and via computers, this community is a trusted source of alternative health information for citizens”, said Sachin Taparia, Chairman and CEO of LocalCircles. “It truly takes AYUSH from being something out there to something that can be practically used in daily life and LocalCircles is pleased to be this enabling platform for AYUSH. The AYUSH community access is free for all citizens!